Product #6150 | SKU FSC-503 | 0.0 (no ratings yet) Thanks for your rating! 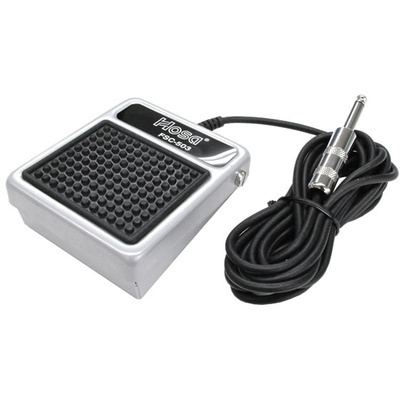 The FSC503 Momentary Foot Switch by Hosa Technology is designed for use with all electronic instruments requiring push-to-break switching. It is compatible with Roland and Yamaha keyboards, synthesizers, drum machines, and multitrack recorders. Use the FSC501 Latching Foot Switch with electronic instruments requiring simple on-off switching and the FSC502 Momentary Foot Switch with electronic instruments requiring push-to-make switching. Consult your owner’s manual to ensure compatibility.